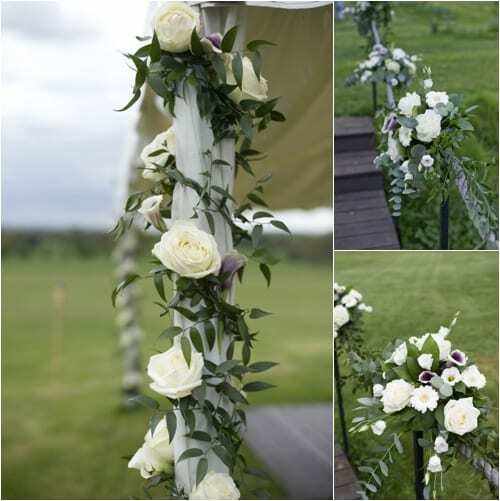 It’s Wedding Wednesday and today I’m featuring wedding flowers from another real wedding. 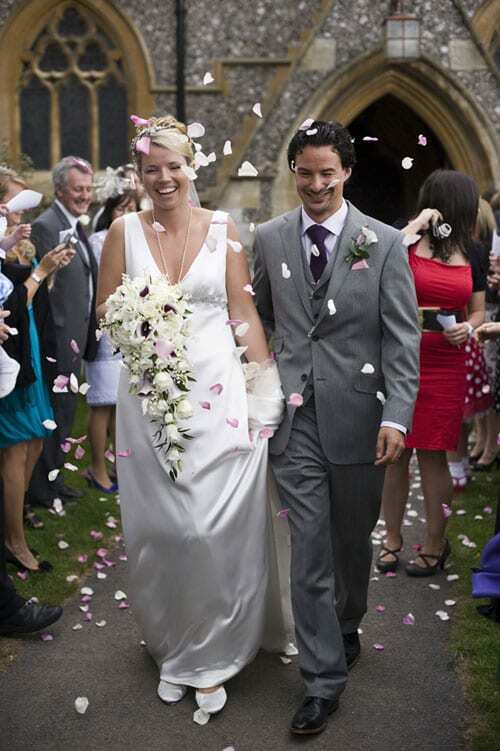 Today’s happy couple are Ben and Victoria. 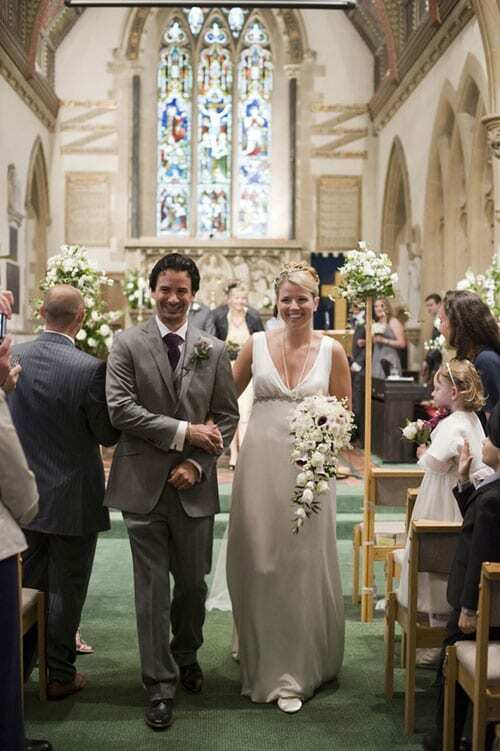 They got married in May 2010 at Micklefield Hall in Buckinghamshire. 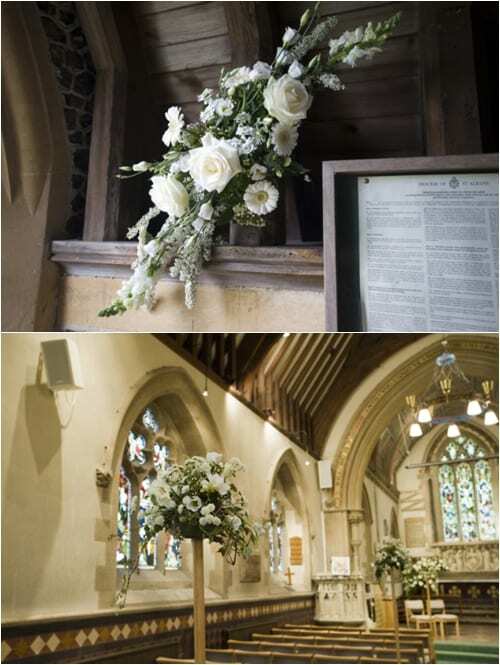 The florists who created their wedding flowers were Polly and Samantha from Andrew Fleming Florist. 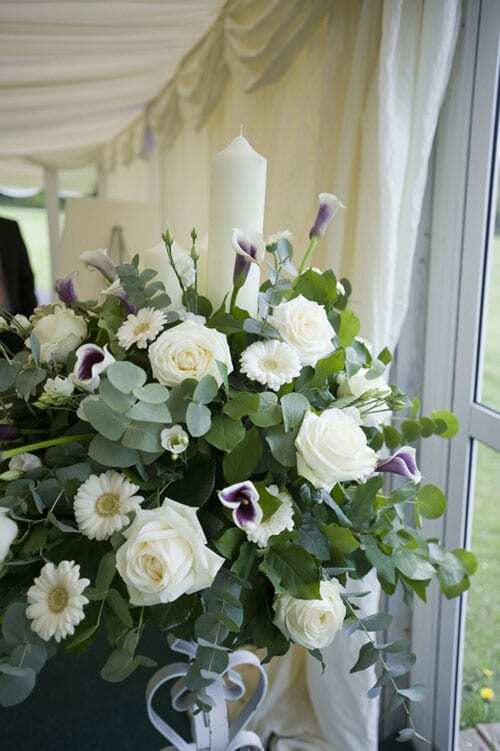 The main flowers used throughout the wedding were ‘Picasso’ calla lilies, white lisianthus, plus white Akito and Avalanche roses. 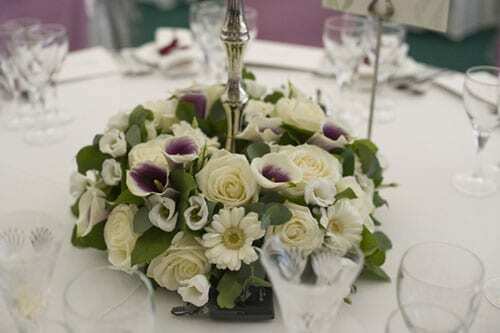 For the bridal bouquet, we added lily of the valley and for the tables, we added mini white gerberas. Victoria was very easy-going and lovely to work with. 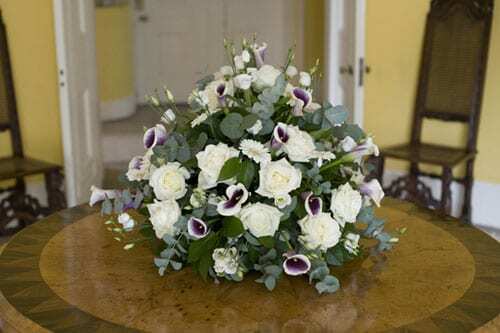 She knew at the start that she wanted to include calla lilies, and with this we were able to create a very elegant look. 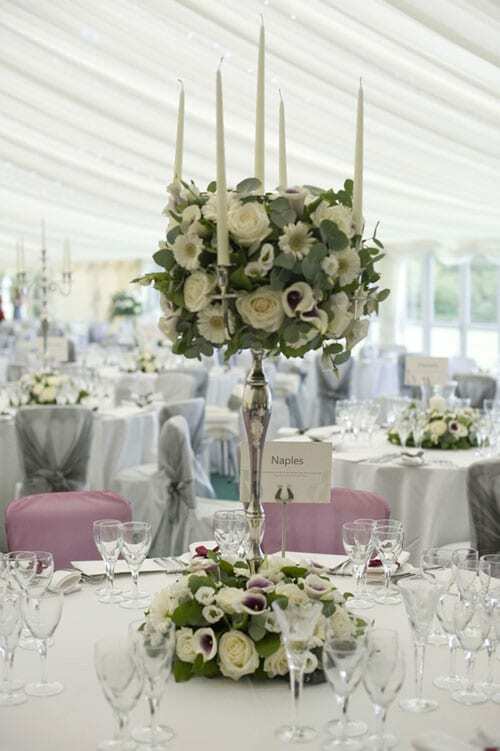 With Micklefield Hall being a blank canvas, we created high impact with the tall candelabras, however kept an intimate feel with the lower storm lantern arrangements. 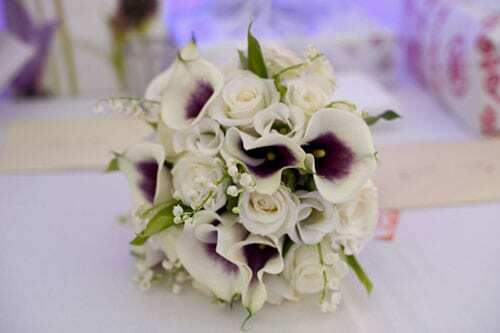 The ‘Picasso’ calla lilies in Victoria’s shower bouquet are just so unusual, with their purple centres. 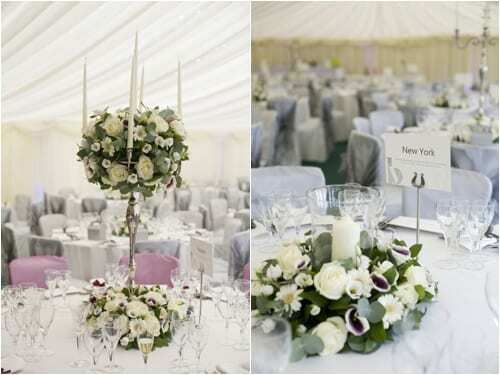 And if you’d like to use dainty lily of the valley at your wedding, you need to know that it has very limited availability. 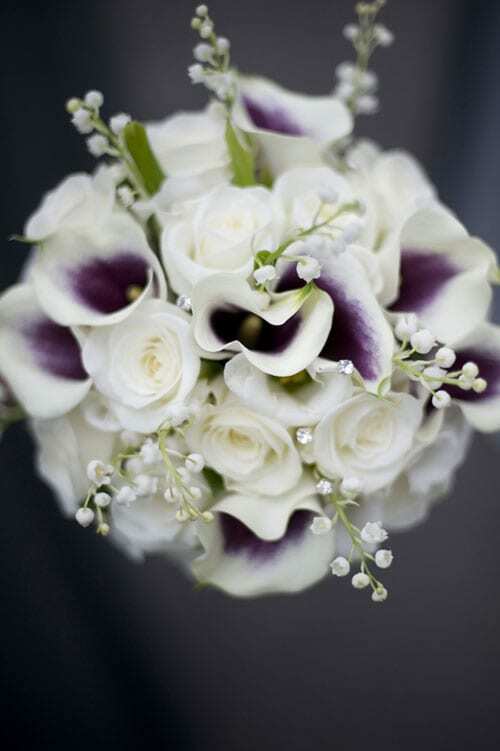 Also known as convallaria majalis, it’s generally in season for the months of April and May only. 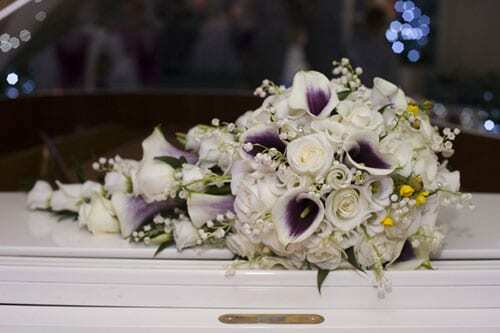 Kate Middleton’s bouquet was made up entirely of lily of the valley when she married William last April. 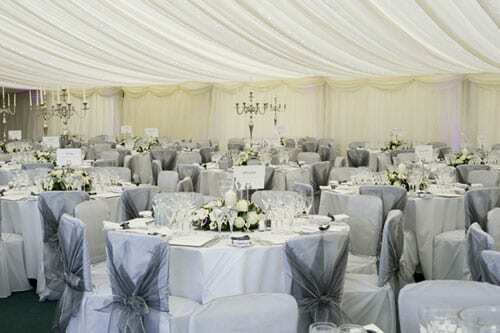 The wedding was captured by photographer, Jemma Watts of Pearl Pictures. Please do tune in from lunchtime today to read a Q&A with Jemma.